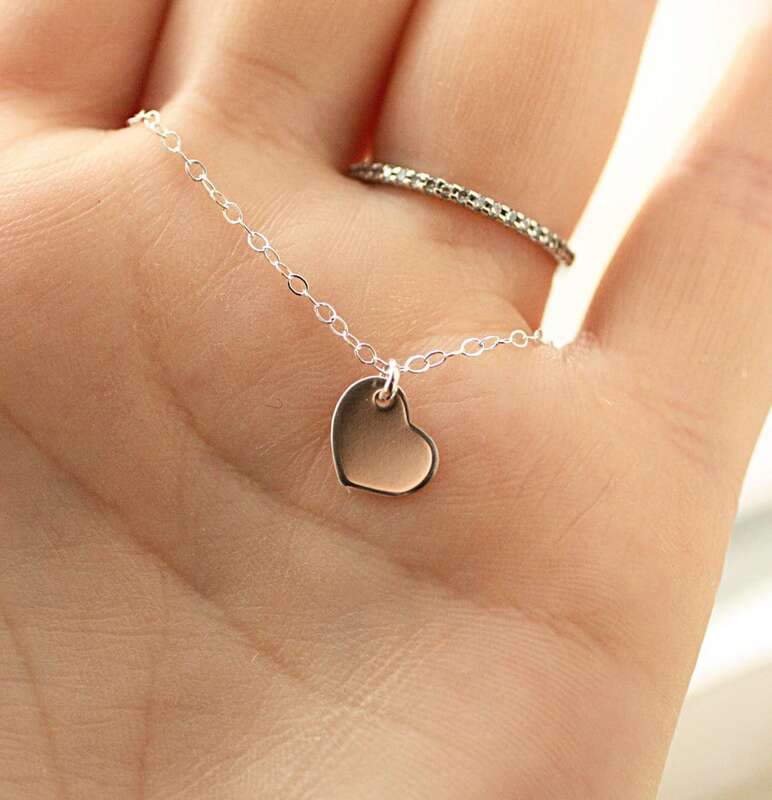 The most shimmering & delicate sterling silver chain is accented with a tiny sterling silver heart charm (10mm). A perfect everyday necklace. Necklace is complete with a round spring clasp. Necklace measures 16 inches as pictured, length can be customized. Also available in gold fill. **Super tiny and lightweight charm, 27 gauge metal. I'm very happy with the purchase of this necklace, it's exactly as described and exactly what I wanted the chain is very pretty. I usually always wear pretty minimalist jewelry unless I'm doing something special and I put this on and haven't taken it off since I got it. Very pleased!